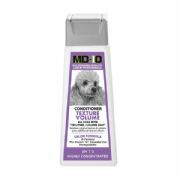 MD10 Texture Volume is shampoo for all dogs with textured / volume coats. It restores original shape / curl from the roots and gives original volume. Suitable for coat which needs volume, very good for restoring curly coat. 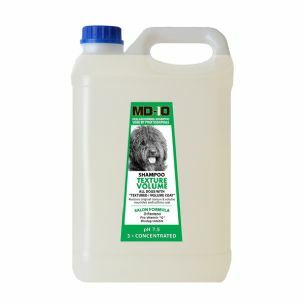 Best Shampoo for Poodle, Spanish Water Dog, Curly Coat Retriever, Old English Sheepdog, Spanish Water Dog, Portugheese Water Dog, Bolognese, Cockapoo, Labradoodle, German Shepherd, Husky, Pomeranian and many more.